The Philosophy of Death is a discussion of the basic philosophical issues concerning death, and a critical introduction to the relevant contemporary philosophical literature. 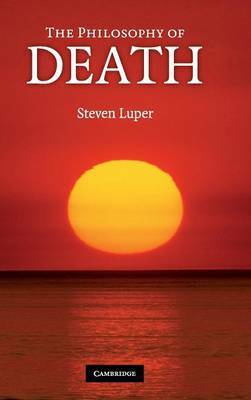 Luper begins by addressing questions about those who die: What is it to be alive? What does it mean for you and me to exist? Under what conditions do we persist over time, and when do we perish? Next, he considers several questions concerning death, including: What does dying consist in; in particular, how does it differ from ageing? Must death be permanent? By what signs may it be identified? Is death bad for the one who dies? If so why? Finally he discusses whether, and why, killing is morally objectionable, and suggests that it is often permissible; in particular, (assisted) suicide, euthanasia and abortion may all be morally permissible. His book is a lively and engaging philosophical treatment of a perennially fascinating and relevant subject.